This guide will help you install SM Listing Deals step by step. 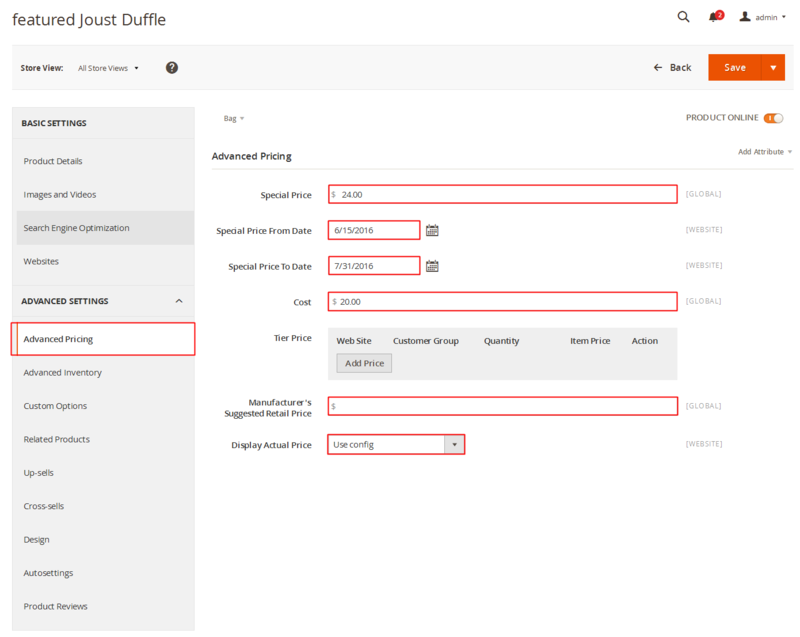 In the Administrator Page, navigate to Stores -> Settings -> Configuration and find SM Listing Deals to configure. 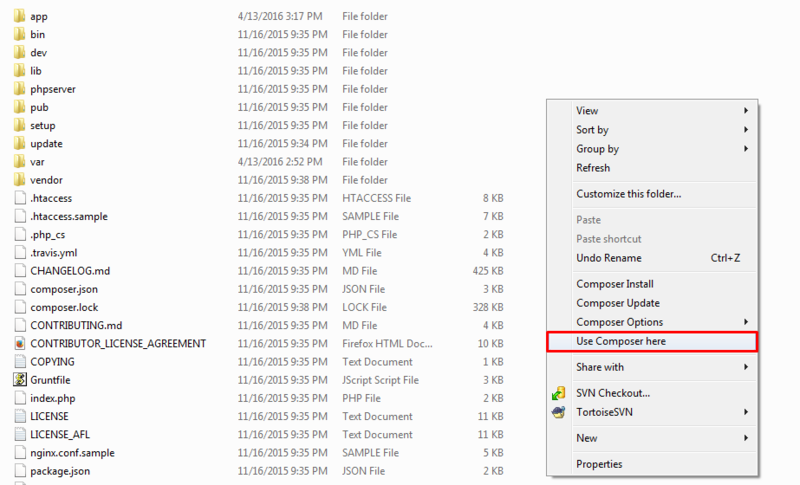 Display Title – Allow to enable/disable the title. Title – Enter the title of the module. 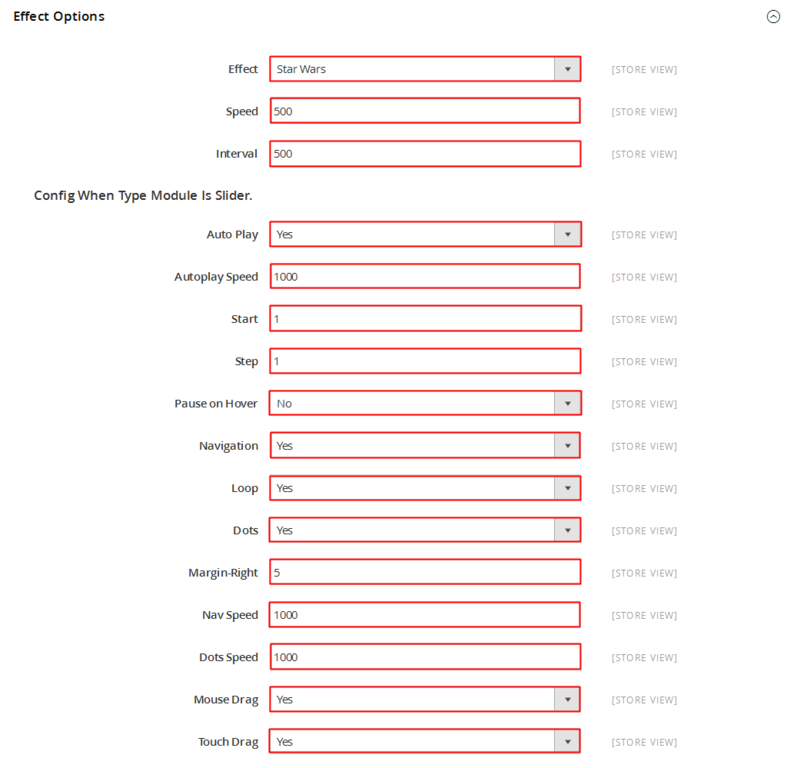 Show Type – Allow to choose type: Loadmore/ Slider. 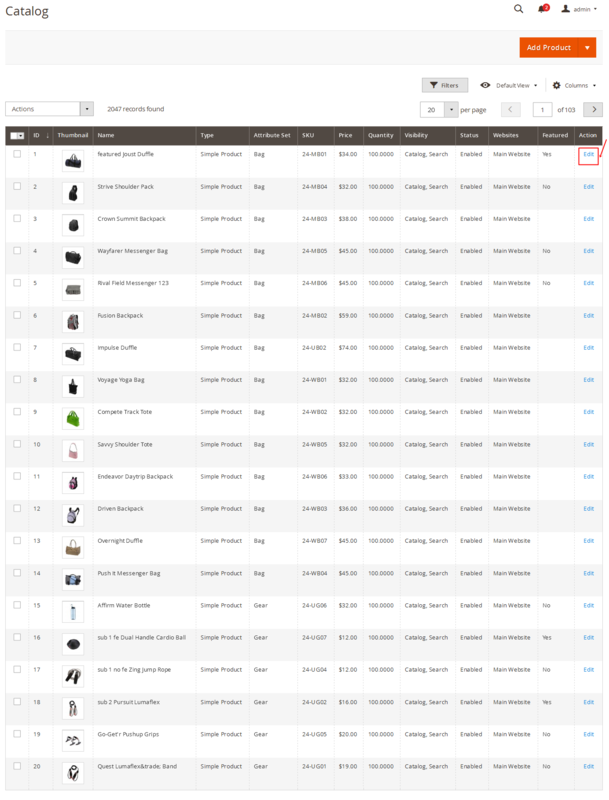 Select Source – Allow you to select Catalog or Field Product. 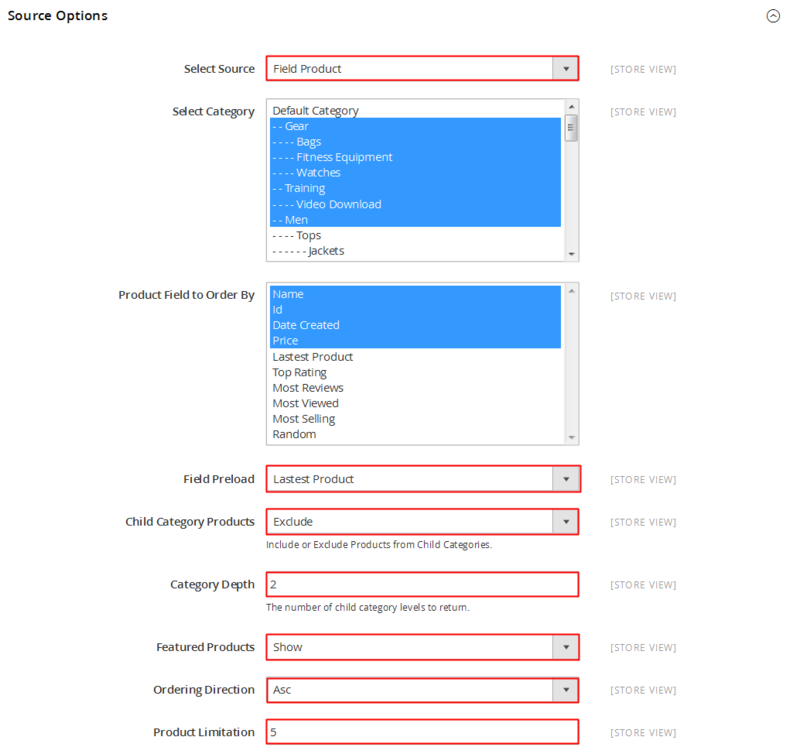 Product Field to Order By: Set Product Field to Order By. Field Preload: Set Field to preload. Category Depth: Allow to choose the number of child category levels to return. Featured Products: Allow to Show/Hide/Only Featured Products. Ordering Direction: Allow to order ascending/descending direction. Product Limitation: Allow to set product limitation. 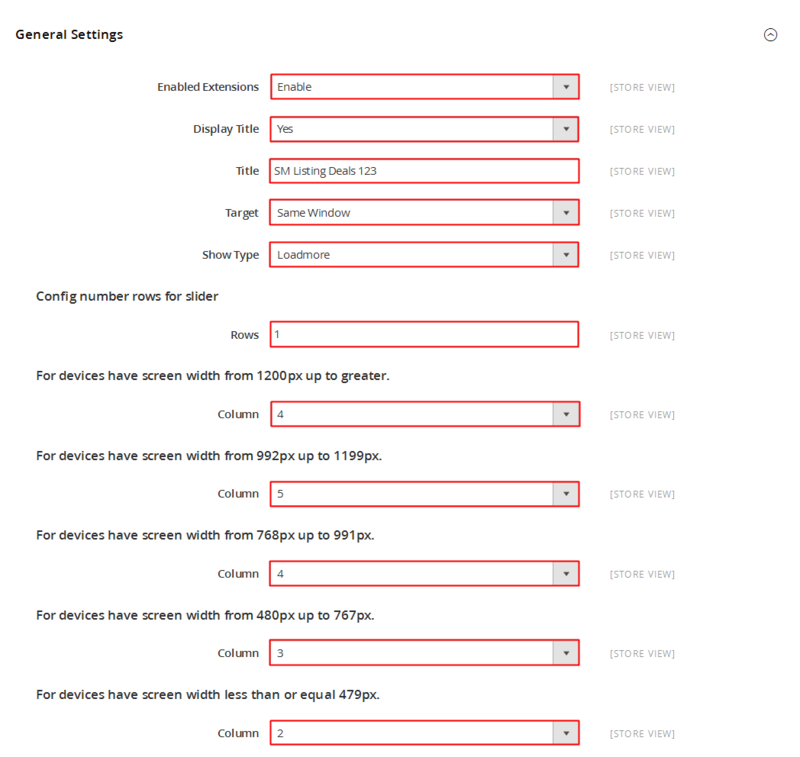 Tab All Display – Allow to choose tab all display OR not. 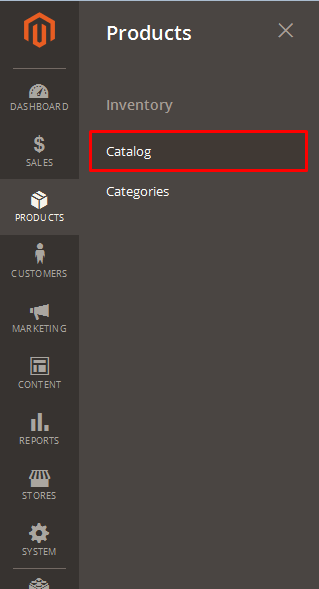 Category title max length – Allow to set the max length of category title. Categories Order By: – Set Categories Order By: Name/Position/Random. Categories Ordering Direction: – Allow to order ASC(ascending)/ DESC(descending) direction. Display Icon: – Allow to choose display icon OR not. Get Image From Category Image: – Allow to display Image of Category or NOT. Get Image From Category Description: – Allow to display Description of Category or NOT. Order to get: – Allow to order to get image with options such as category_description,category_image. 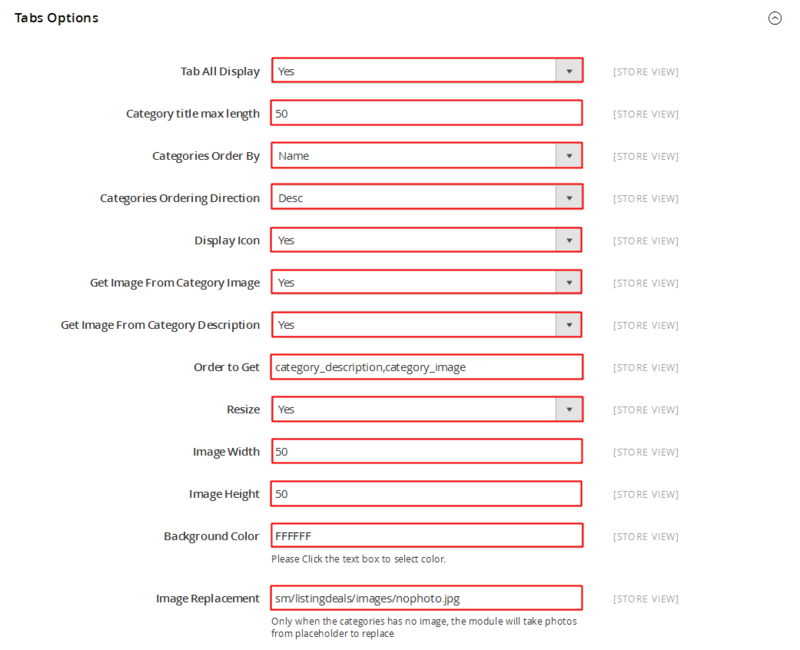 Resize: – Allow you resize category image or NOT. Image Width: – Allow to set image width of category. Image Height: – Allow to set image height of category. Background Color: – Allow to set background color. Image Replacement: – Only when the categories has no image, the module will take photos from placeholder to replace. Max Length – Allow to set the max length of title. Display – Allow to display title of description OR not. 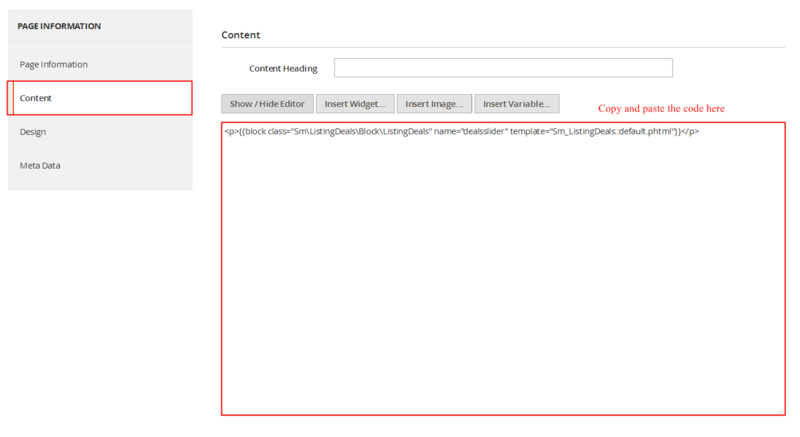 Max Length – Allow to set the max length of description. 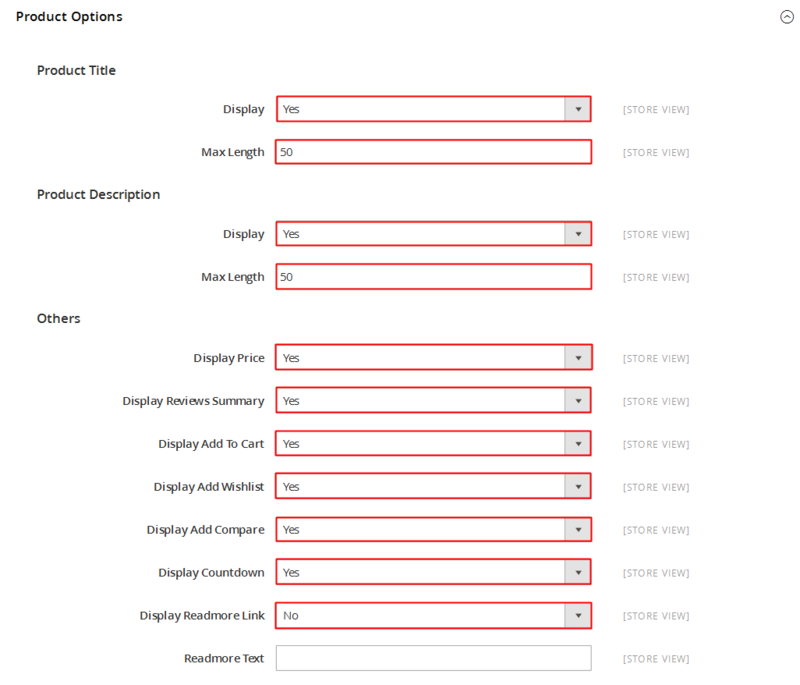 Display Add To Cart – Allow to display Add To Cart OR not. 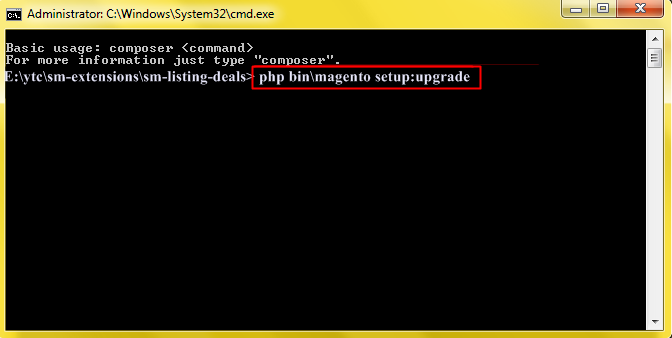 Display Add Compare – Allow to display Add Compare OR not. Display Countdown – Allow to display Countdown OR not. Display Readmore Link – Allow to display Readmore link OR not. 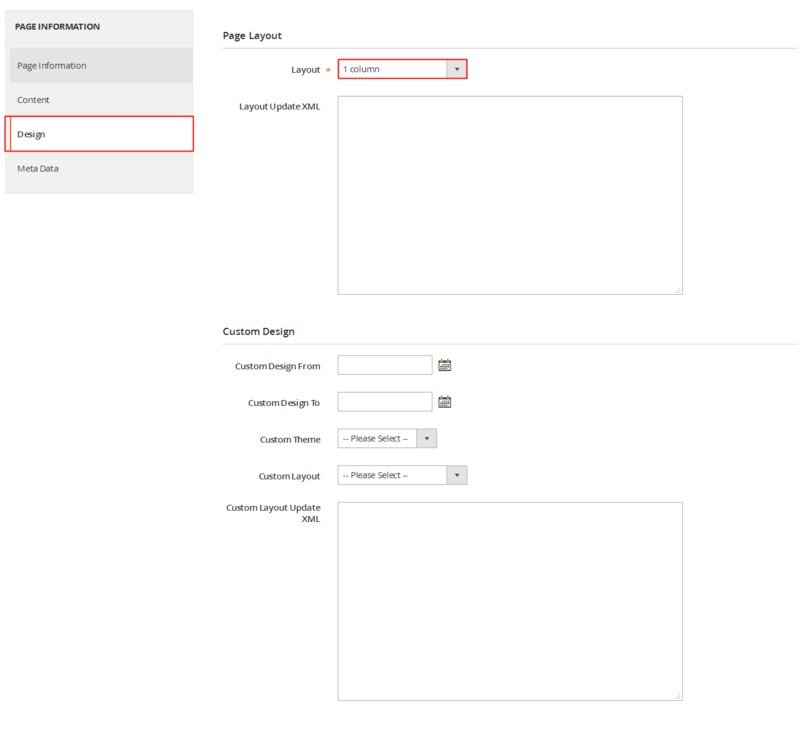 Readmore Text – Allow to input name of Readmore text. For example: Details. Display – Allow to display Product Image or NOT. 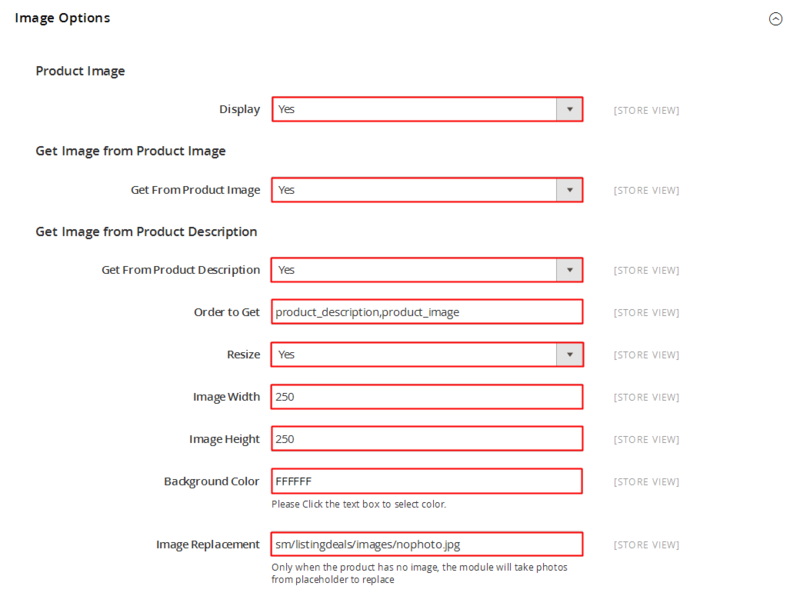 Get From Product Image – Allow to display image of product or NOT. 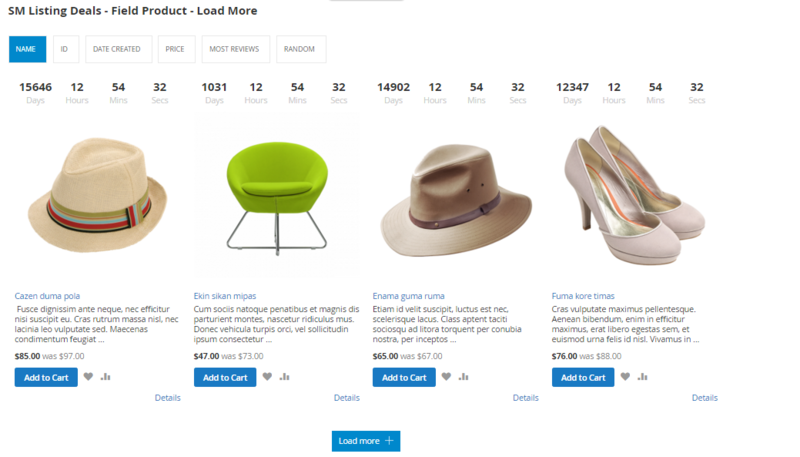 Get Image from Product Description – Allow to display Product Description or NOT. Resize – Allow you resize image detail or NOT. Image Width – Allow to set image width. Image Height – Allow to set image height. Background Color: Allow to set background color. Image Replacement: Only when the product has no image, the module will take photos from placeholder to replace. Effect – Allow to select effect. Speed – Allow to set speed of slide. Interval – Allow to set interval timer. Auto Play – Allow you to set for slideshow auto play OR NOT. Auto Play Speed: Allow to set speed of timer (larger = slower). Step – Set the number of items for each slide transition. Pause On Hover: Allow to Pause effects when users hover Or not. Navigation – Allow to Enable/Disable the next/previous button. Loop – Allow to Enable/Disable to loop products. Dots – Allow to Enable/Disable one page scroll with dot navigation style. Margin Right – Allow to set right margin of the image. Nav Speed: Allow to set the speed of Navigation. Dots Speed: Allow to set the speed of dot navigation style. Mouse Drag: Allow to Enable/Disable Mouse Drag. Touch Drag: Allow to Enable/Disable Touch Drag. To configure Prduct with Sale Price, go to Products >>Catalog. And find “featured Joust Duffle” >>Edit.